Prints 200 punches or up to 8 hours, when the power is off. Drop the card in the slot, it prints the IN time. Drop it back in at the end of the day, it prints the OUT time, and puts the running hours total right on the card for you. 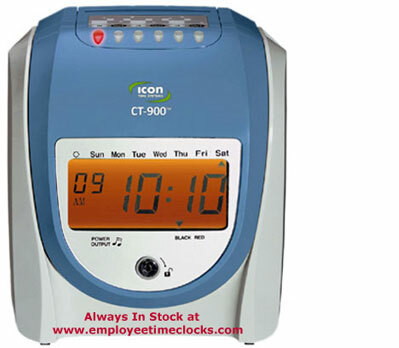 The Icon CT900 is easy to use. They simply drop the card in, it prints the IN punch. When they leave to go home, they just drop it back in, it prints the OUT punch. It posts the running total on the card. It's that simple. It's designed for the typical small business owner - from Medical to Manufacturing. 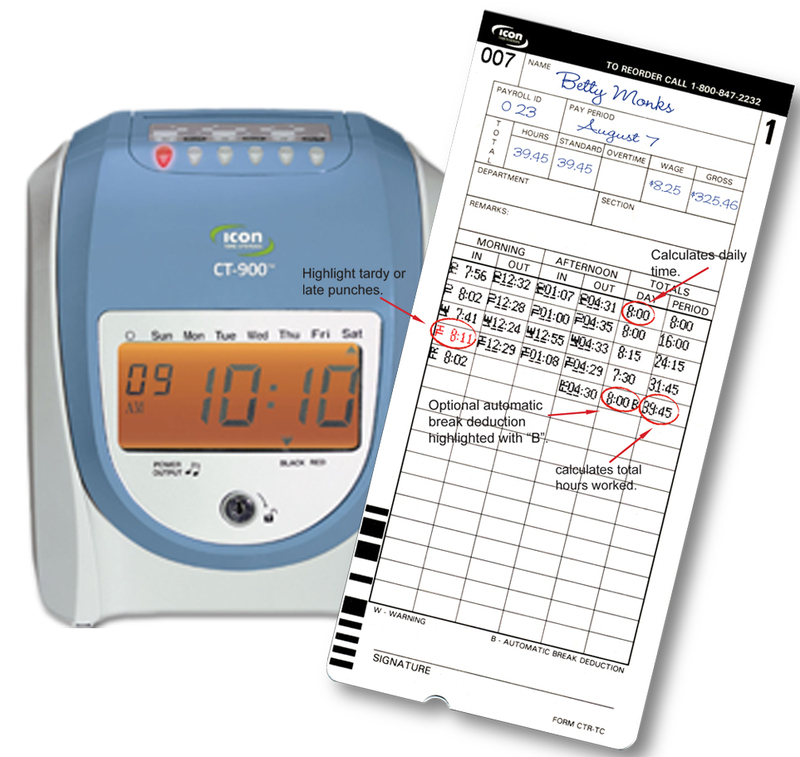 This automates the time card totaling, it rounds punches, it can even deduct time if they are not around to punch out for lunch. If the employee does not punch OUT that day, then next day it automatically punches them IN, and does not pay them for, overnight time. Assigning a new card is as simple as writing their name on the card, and handing it to them. Icon includes their unmatched personalized customer support! You can call them in 30 years, they will still answer the phone and provide you with free technical support! Even your descendants. That's the official company guarantee.